Showcase your event with this parallax conference website theme! Conferences educate and inspire. A conference website should do the same! 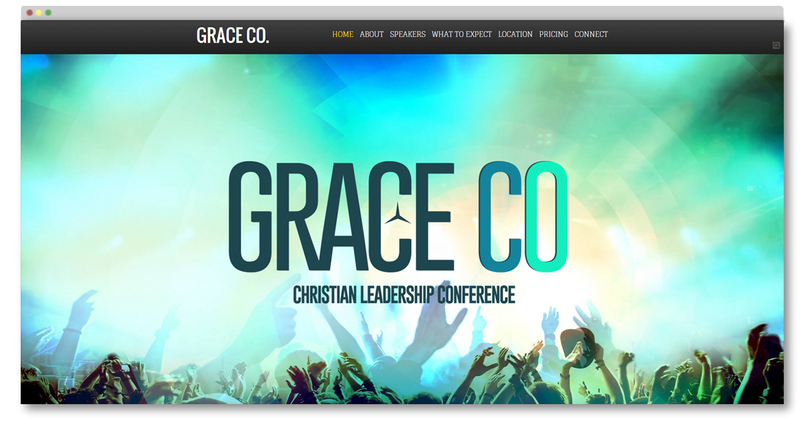 This christian conference website template gives you a beautiful way to showcase your event. The single-page scrolling design makes for an easy and attractive way for visitors to learn about the conference all in one place. Introduce speakers and topics, create an event schedule, and provide important information for attendees. Our templates also include thousands of premium website graphics and backgrounds, so you can easily create and customize your conference website! Get people excited about the event by highlighting the influential speakers that will be attending. 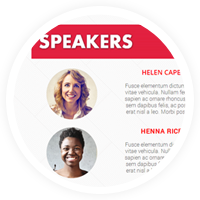 Our conference website template makes it easy to present who will be speaking, and what the topics will be, in a clean, beautiful way. 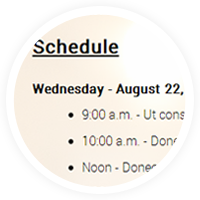 Let attendees know what to expect, by providing a detailed schedule of events that will take place during the conference. Our award-winning, drag and drop website editor makes it super easy and fast for anyone to create a christian conference website like a pro. 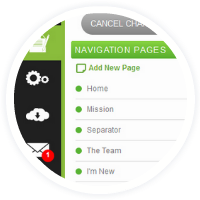 Add pages, text, images, videos, change colors, backgrounds, fonts, and so much more with just a few clicks of the mouse. So easy for the newbie, and powerful in the hands of a designer! See more church websites, themes and templates.